As New York Yimby reported back in 2016, the residential units should average 1,967 square feet apiece — most likely condos. There will be a duplex apartment on the ground and second floors, with full-floor apartments on the third through eighth floors. 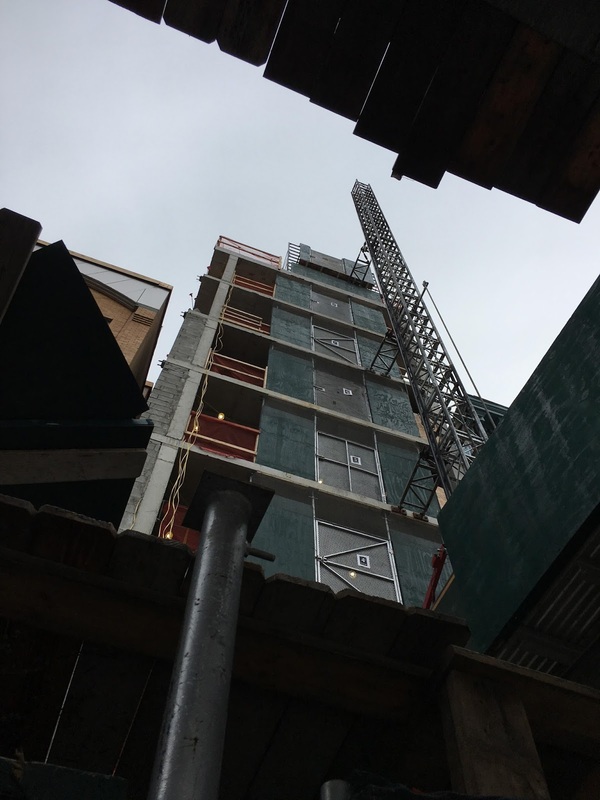 The condoplex, going by Houston House, is environmentally friendly, with the design via Passive House specialists Zakrzewski + Hyde Architects and featuring cross-laminated timber (CLT). While Houston House won’t go for Passive House certification, it will still have several green features. CLT requires little energy to produce and will provide extra insulation in the building. Oversized, triple-glazed windows will help cut down on electricity and control heat loss/gain. Houston House’s commitment to the environment even extends to its amenities: The building will have a bike room. Nest Seekers International’s Ryan Serhant will be doing the condo selling here. Sales have not yet been announced. 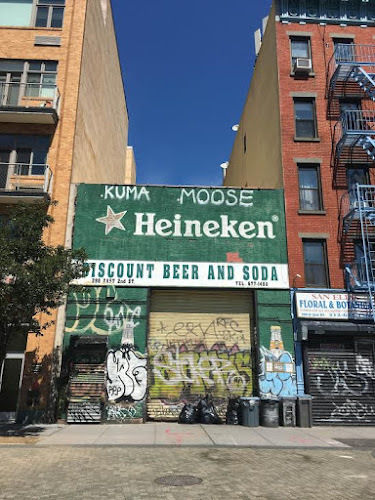 According to public records, the building that housed the Houston Street Beer Distributors sold for a little more than $7 million in the fall of 2015. Looks like something from the 60's. built in 2007, almost 11 years ago and it already has a worn, decaying look. 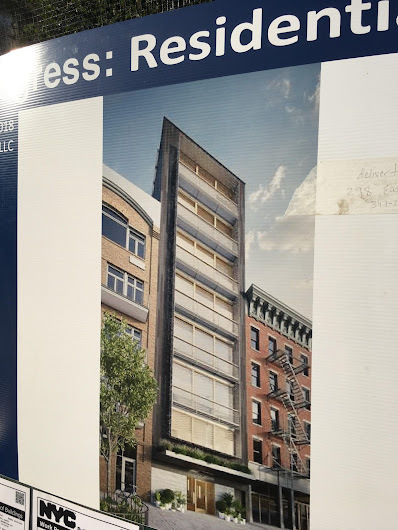 Why are all of these eight-story buildings allowed to be built? 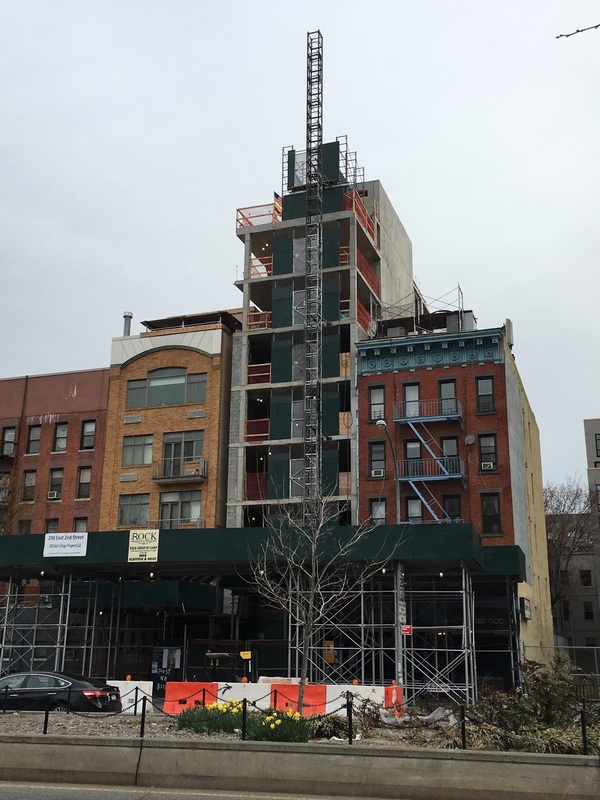 What happened to the six-story limit on side streets? all these new luxury buildings are property tax free? Environmentally friendly, but not acoustically friendly to its neighbors to have to endure the pounding and hammering all day long.